48 x 48 x 1 1/2 inches. 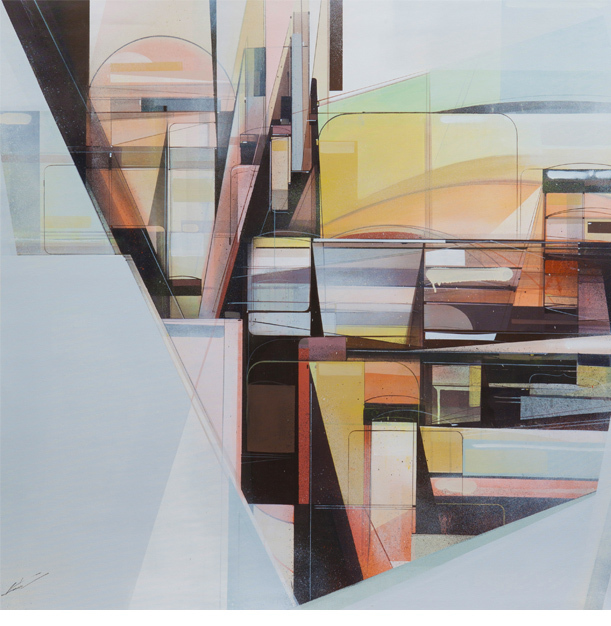 L’Avenir features a group of like-minded artists that flourish under the banner of Graffuturism, a term coined by artist and arts commentator Poesia, who edits and publishes an online blog under the same name, Graffuturism.com. Taking inspiration from French philosopher Jacques Derrida and his axiom The coming of the Other, L’Avenir literally translates as “the future,” and is a direct reference to the progressive and contemporary element that has influenced this intercontinental group of individuals known for creating a distinct aesthetic of their own. The exhibition is a survey of an emerging movement and features work from Augustine Kofie (US), Borondo (Italy), Chazme (Poland), Clemens Behr (Germany), Doze Green (US), Duncan Jago (UK), Part2ism (UK), Poesia (US), Robert Proch (Poland), Sainer (Poland) and Vesod (Italy). 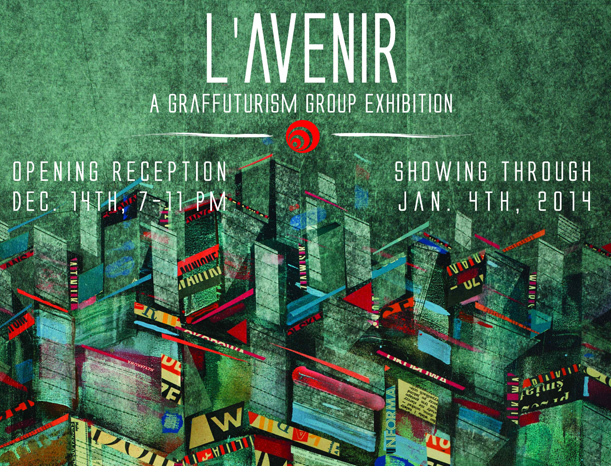 L’Avenir brings this group of graffiti inspired contemporary artists crashing into our visual field with an exciting celebration of the neo-contemporary Graffuturism movement.